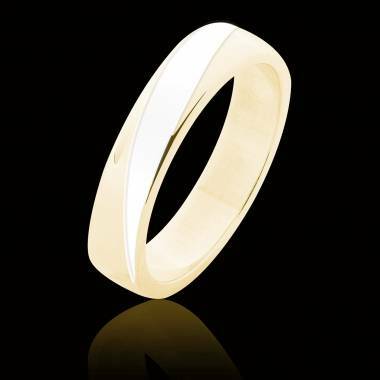 If men choose White Gold or its neutral, durable, or resistant, aspect, yellow gold, is chosen by tradition, its warm aspect, and its characteristics that it represents: the wedding band for many centuries. Rare, Precious, Brilliant, Solid, Durable, Unchanging, Yellow Gold never loses its colour. It is for many the most noble metal, the most prideful to symbolize a union between two human beings. Often Compared to the sun because of its radiance and its colour, the yellow gold wedding band is the symbol of the rays of happiness, strength, wealth, and brilliance for the married couple. 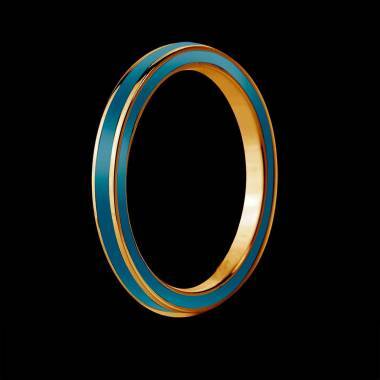 What is your yellow gold wedding band for men made of? The band is made of gold. The yellow is the colour of the metal in its pure state. 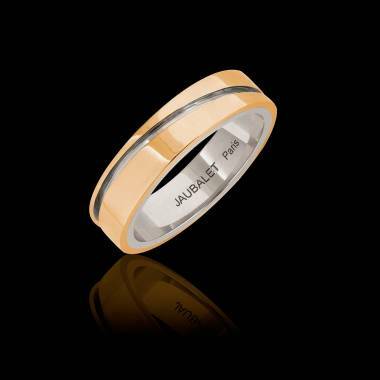 It is also called 18 carats and we invite you to discover the materials of the band so that you can learn more about your Yellow Gold Wedding Band for men. 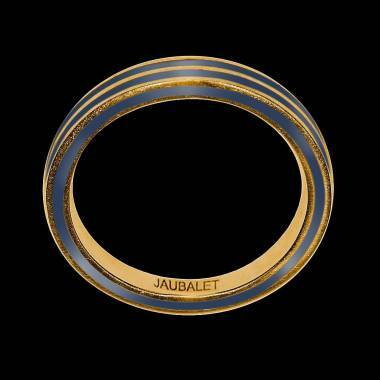 Throughout a digital stroll through our site, Maion Jaubalet proposes many collections of Yellow Gold Wedding Bands. You have the possibility of choosing rings from different collections and order them online. 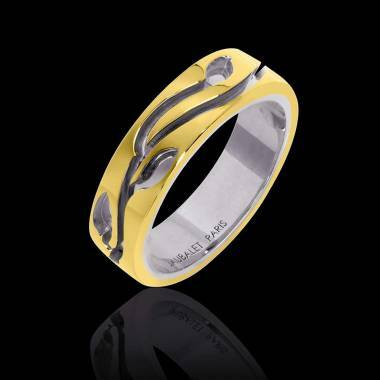 For men that are creative and original, the simulation tools will be available to you to personalize your Wedding Band. You may choose form, size, and design. If you would like to customize, contact our experts on our live chat and create your Yellow Gold Wedding band yourself.